This weekend The Hubs and I had a stay at home date night. I’ll be writing about that more in a future post but for now I’m going to share with you a scrumptious hot chocolate that we had. This is such a simple recipe which can easily be made in the microwave or made on the hob. 3. 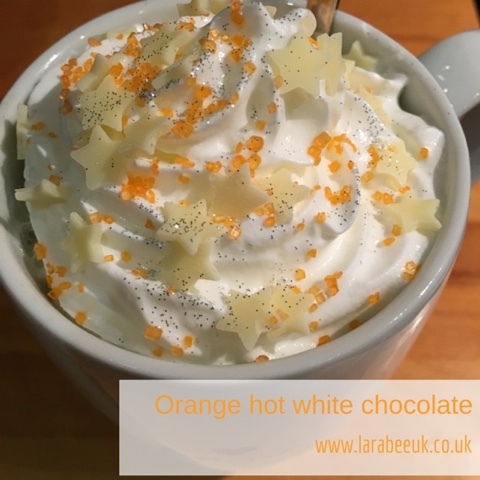 Pour into suitable cups, top with squirty cream and sprinkles, I used orange sugar, white chocolate stars and a tiny bit of silver edible glitter! 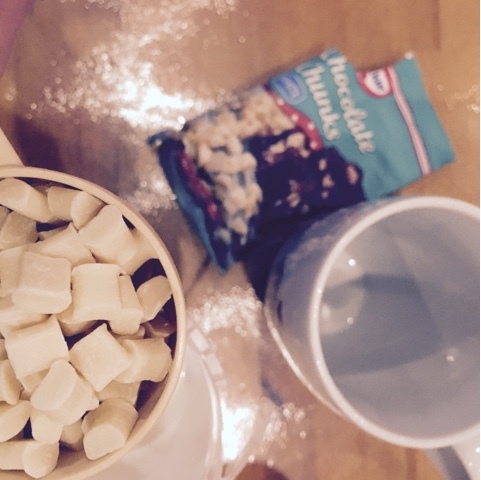 I've linked this post to Cuddle Fairy's Holiday Recipes Linky.